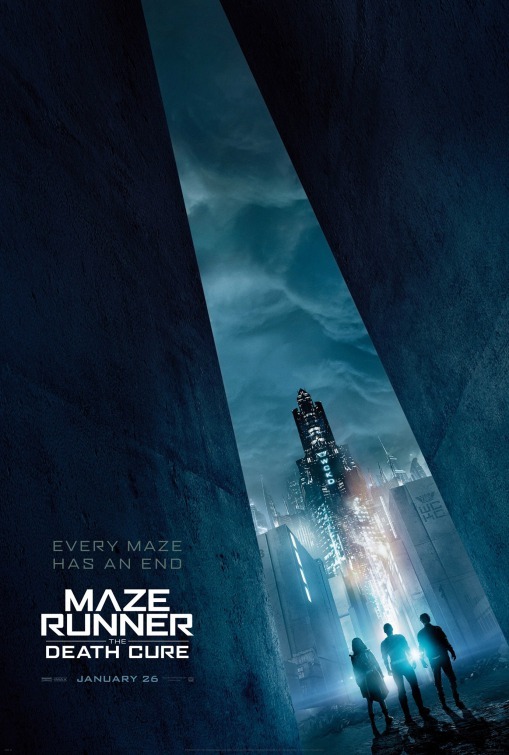 Whereas several YA novel adaptations have become franchise non-starters (“The Golden Compass,” “I Am Number Four,” “Beautiful Creatures” and “Divergent”), the “Maze Runner” series has at least gotten to its third and final chapter in the three-part series adapted from James Dashner’s novels and has retained the same director. 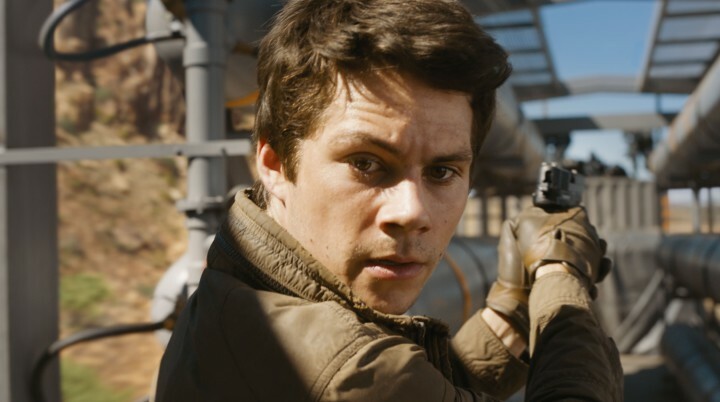 2014’s “The Maze Runner” felt like a grabby, breathless build-up to a lot of underwhelming hurry up and wait with answers to the mystery given the “to be continued…” treatment. The second installment, 2015’s “The Scorch Trials,” was still middle-of-the-road and repetitive but more exciting with thrillingly kinetic action set-pieces enlivening an episodic story. Both anticlimactic films left ample room for improvement, and that improvement finally comes with “The Death Cure,” a capper on this trilogy—which, thank goodness, did not get bifurcated—that happens to be the most engaging and satisfying. Out of The Glade and The Scorch, Thomas (Dylan O’Brien) and company—Newt (Thomas Brodie-Sangster), Frypan (Dexter Darden), Brenda (Rosa Salazar) and Jorge (Giancarlo Esposito)—are immune to the Flare virus that has infected the world’s population. 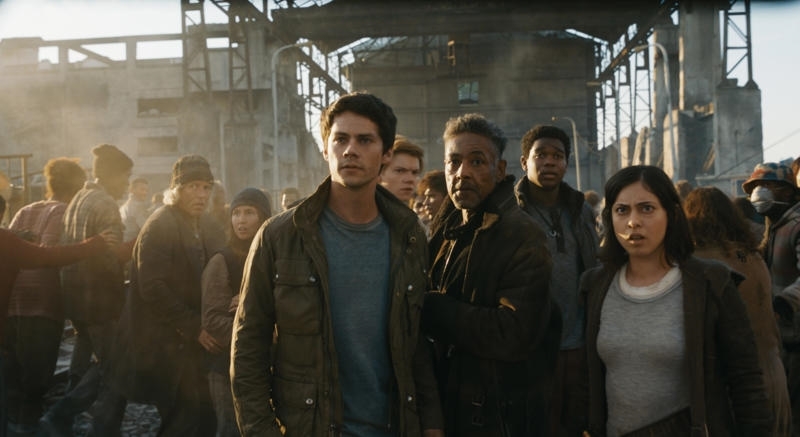 In their efforts to break out fellow “Glader” Minho (Ki Hong Lee) on a train en route to the “Last City,” the WCKD homebase of operations, but they get the wrong cargo car and bust out the other youthful lab rats. 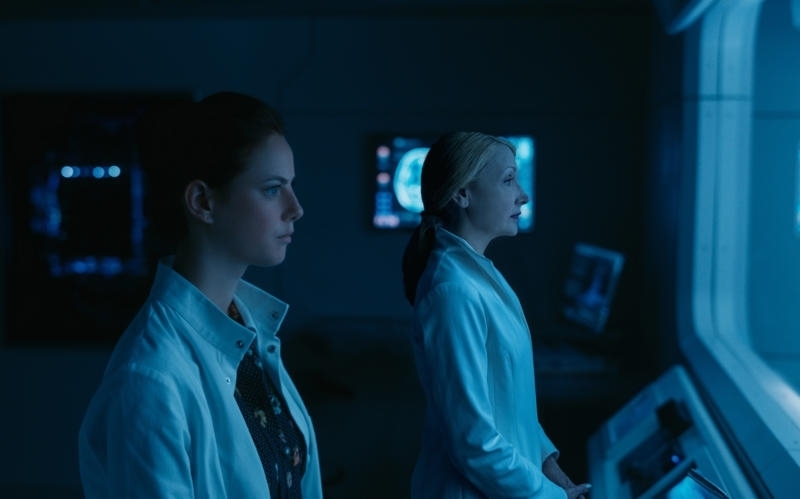 Meanwhile, the outside world is divided and dying, and traitorous Teresa (Kaya Scodelario) stands with WCKD official Ava Paige (Patricia Clarkson) on the verge of finding a cure for the virus that has gone airborne and harvests Minho to test his blood for a serum. Can Thomas and his scrappy crew break into the fortress city and take down WCKD once and for all? 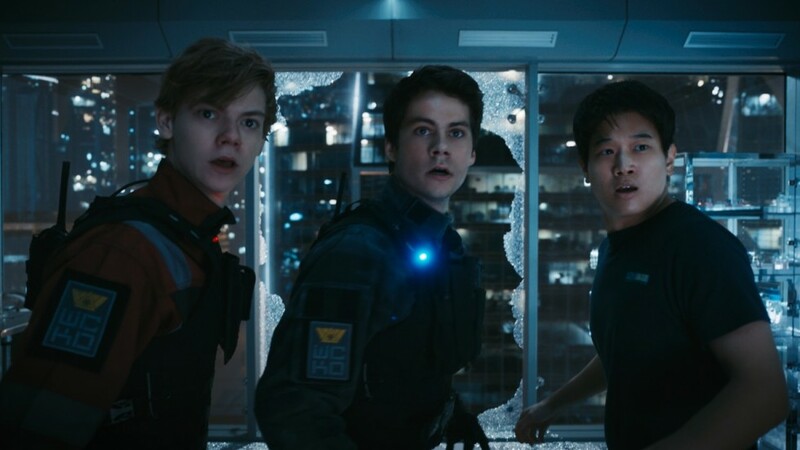 Whereas the first film had an ace in the hole and the second film ran in circles, “The Death Cure” never stops moving and actually advances the narrative with a brisk drive, more urgency, and a sense of finality. Returning director Wes Ball and writer T.S. Nowlin have a steady handling of all their characters and bring more of a variety and scale to the proceedings in terms of locations. From one perilous set-piece to the next, the film is enthralling and evenly spaces its action highlights apart during an 142-minute run time that rarely, if ever, lulls. Several of them are impressively devised, from a thrilling opening train rescue, to a frightening WCKD simulation involving an arachnid/scorpion-like Griever, a suspenseful run-in with snarling, zombified “cranks” in a tunnel, a vertiginous jump from a skyscraper to a safe landing, to a hairy sequence with a crane picking up a bus full of precious cargo. All that besides, it raises the emotional stakes and makes the fate of one of the key characters pretty gutting. Dylan O’Brien (who was critically injured on set during a stunt sequence, delaying the film’s release) still cuts a strong yet vulnerable hero as Thomas, who remains loyal to his friends and insists on not leaving anyone behind. While the connection between Thomas and Teresa was always the least of this series’ priorities, Kaya Scodelario is less of a blank and gets more of a significant arc here as Teresa, who has aligned herself with WCKD for what she hopes is for the greater good but still conveys a sense of guilt for turning on her friends. Rosa Salazar, once again, commands the screen as the headstrong Brenda; Thomas Brodie-Sangster’s Newt still remains the standout and the most sympathetic of Thomas’ fellow Gladers; and an “old friend” pops up without feeling like a cheat. The film also more effectively uses its adult cast, above all Patricia Clarkson, who is now less of a cardboard heavy as Ava Paige than she was at the start of the series, while Aidan Gillen again plays smug and sniveling well as the turtlenecked Janson. When the “Maze Runner” series first premiered in 2014, it was left to be compared with “The Hunger Games” and “Divergent” before the former came to its conclusion and the latter was unceremoniously brought to an end due to the low box-office gross of "Allegiant." 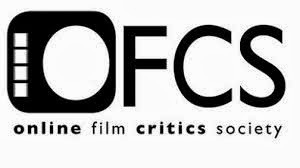 While these films haven’t come close to matching the emotional depth and ideas woven into the narrative of “The Hunger Games” saga, it has still gotten by on its individual moments of kineticism and air of mystery. What better way, then, to end a trilogy than by going out on a high note? 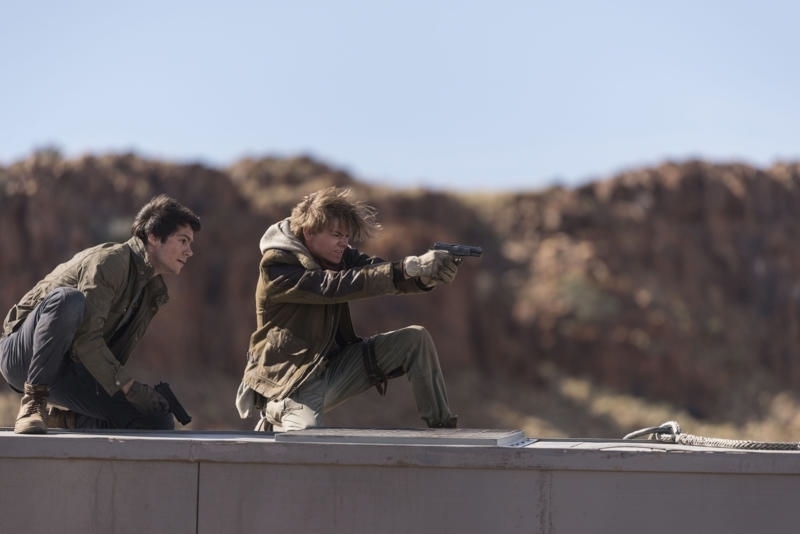 Just as the YA adaptation genre is quickly fading out, “The Death Cure” mostly avoids feeling past its prime by finding its way out of the maze, sprinting in and earning its closure.